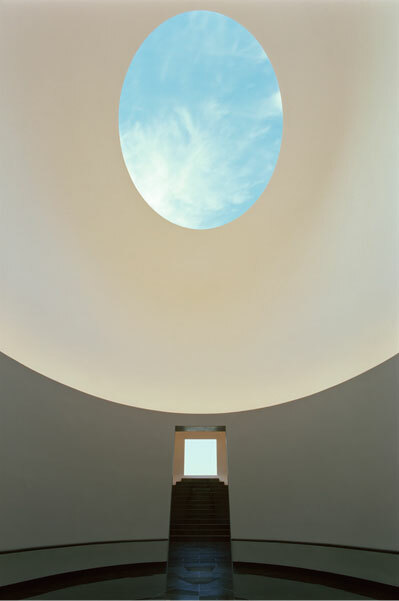 he Skyspace is a naked-eye observatory as a quiet and contemplative space for visitors. It is available for observation during Sunrise and Sunset. While colored lights illuminate the walls, it affects the way we see the sky and produces the special experience of his work. 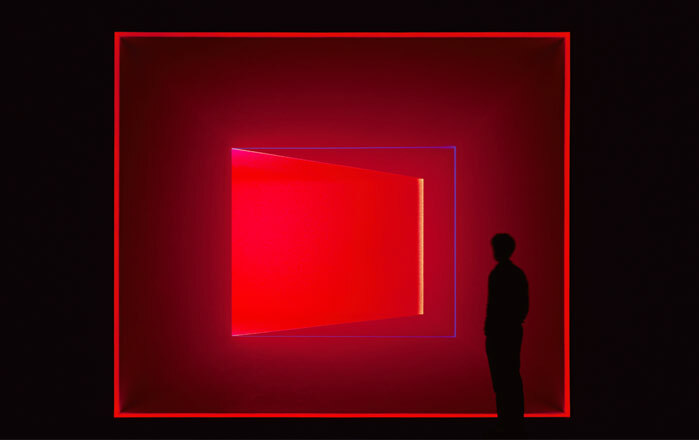 James Turrell points out, the Space-Division Pieces “share a similarity with the Skyspace series in their sense of closure at the plane of the wall.” The installation can be experienced within Skyspace, as a volume of space floating overhead. * The work launches a program at certain time; please be sure the operation schedule in advance. 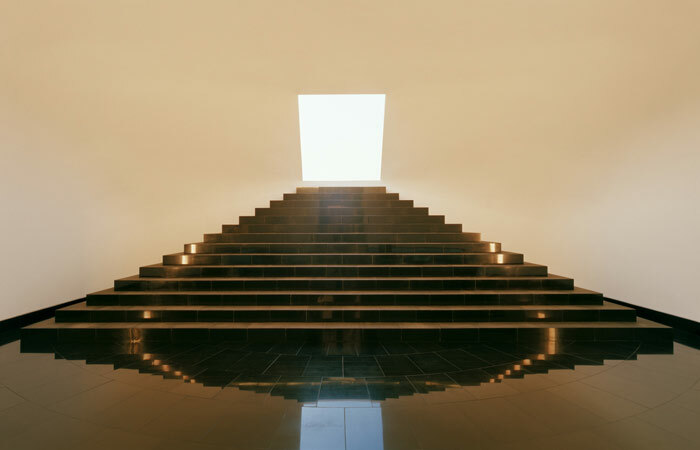 The Horizon Room is proposed to build connecting Skyspace and a square frame is situated on black stairs like the altar of light. The viewers are able to run across between two and three dimensional plane through the actual experience. During the Sunrise and Sunset, a strip on the wall is operated and creates exceptional optical experience. The Wedgework uses architecture to frame light and call attention to the ways in which light shapes our understanding of space. The combination of red and blue fluorescent fixtures generates a screen of light and partition walls. Shimmering colors seemed to play across the lighting illusion of the chamber. Ganzfeld is a German word meaning “complete field” and leads from a psychological term. 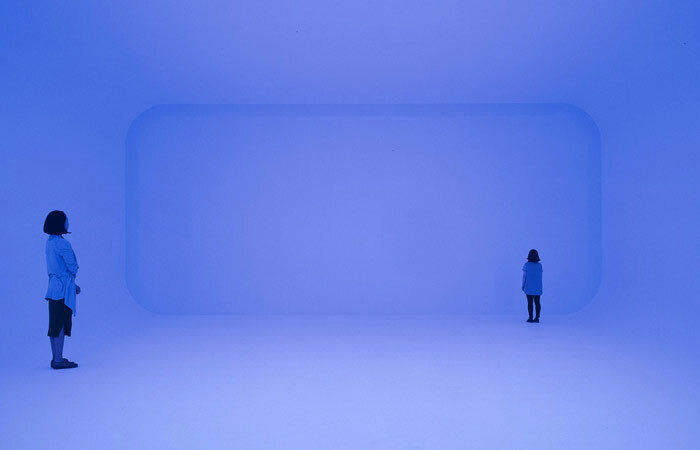 As a “sensing space,” the chamber is filled with lights, the viewer experiences a moment of total disorientation.